The game of chicken is over. There is no stepping back from the promise of a referendum, and if there is a future ‘deal’, it won’t be with the current Greek government. Greeks friends are asking all the “what-if” questions, trying to decide how to vote. They think in terms of what would be financially better. There is no simple answer, because the specific MoU was, and is, wrong about the social contract which can sustainably govern the Eurozone. It is not about the short-term financial impact of whatever comes next. If it had been just about that, Greece would have been bailed out on sustainable conditions a long time ago.. In calling a vote, the Greek government has already rejected the offer which was on the table. The vote therefore carries mostly signalling value, and long nights of debate in the corridors of power will ensue after either outcome. A Yes vote won’t get the old deal back, and a No vote won’t destroy all chances for a solution. Arguably, the opposite is the case. Any new deal after a Yes vote would strip any Greek government of its sovereignty in the negotiations. If Greeks vote Yes, Europe will come back with an offer similar to the last one. A Yes vote, they will have pre-determined the outcome of any debate in Brussels. The Greek delegation will have no mandate to disagree on anything. It’s rather like signing a ‘peace’ treaty after an unconditional surrender. But any ‘new’ program will again be modeled on the past MoU, and will be unsustainable in the face of economic realities. Greece will eventually end up more sidelined, more financially broken, and more boxed into the hole of the scapegoat than it is even now. A No vote flags to fellow Greek citizens and to Europe that Greeks are ready to ‘own’ the problem, no matter what pain this may bring. This is the chance for Greeks to show that they are more grown-up than the rest of Europe. The politics of dependence, which both Greece and the EU have played, are unhealthy in terms of social cohesion and civic responsibility. Further loans with no debt relief can only lead to more dependence. The best thing to do when your rich uncle bemoans your dependence but only offers steps which make you more dependent still is to tell him you don’t need his money. It’ll be very painful financially, and really hurtful to your uncle, but it’s the best thing to do. Self-reliance makes you stronger over time, while dependence only makes you more dependent. The core of the sovereign debt problems anywhere is a polity in which solidarity has become too much of a one-way concept, where everyone thinks the state is the bigger uncle. Only a ‘no’ vote carries the signalling value that Greeks are ready to take the pain that is required to become a self-reliant society. and are ready to decide democratically on the very thing which the Eurozone is unable to get past its own voters: That solidarity works both ways, that everyone is ready for the hardship that ensues when society’s resources have to be diverted exclusively to the poorest of the poor and the majority pays instead of drawing benefits. At a time when Greece needs to reform its very social and political fabric to become sustainable, a mood of solidarity and ‘giving’ in the face of personal hardship will be their strongest weapon, truly legitimizing for the first time the prosecution of violators of the social contract. And it will show Europe where Europe’s own political deficits are. Greeks are going to take a lot of pain in either scenario, so which would you rather have? Pain administered from the outside allows a perpetuation of myths: the internal myth of Greek victimisation, and the external myth of Greeks as perpetrators who as for money and even then complain. Pain that is self-inflicted sends a totally different social and political signal: The discussion whether Greeks are the victims of the perpetrators changes to a dynamic where Greeks are seen to take matters into their own hands, accepting the short-term pain, and not accepting hand-outs which are insufficient and yet come with many political, financial, and social strings attached. It is healthier for Greece to deal with Greece’s problems, and the Eurozone to deal with the Eurozone’s problems: Greece will have done the Eurozone and itself a favor by not re-entering negotiations at all. Both need restructuring in their own way, and neither can successfully reform itself while blaming the other for its own predicament. Greece can and should still accept any help it gets from outside, but should neither ask for it nor offer favors in return. Europe will find a (good or bad) way to deal with the humanitarian crisis, but helping must not become a bargaining chip. Measures dictated from the outside do not lead to sustainable reforms. Only democratic consensus can do that. Greeks will not reform unless they own their reform agenda, and the Eurozone can’t reform when Greece-negotiations always offer a cheap scapegoat. I don’t want to diminish the risks that come with defaulting: Social stability will be sorely tested when cash points and fuel stations are dry, deposits undergo a haircut, and the police and teachers don’t get paid. It will be extremely disruptive. But if the only way for a society to fix things sustainably is to fix them on its own terms, a No signals readiness for a domestically-driven reform agenda even if it comes at huge personal costs. This will empower a new government to tell the public that they have nothing to offer but blood, toil, tears and sweat, and get some reforms enacted and enforced. The alternative is a new deal from the big uncle, whose reform agenda will always be seen as an intrusion. This will never ever provide the popular backing which would make reforms last through bad times as well as good. The Eurozone is right not to trust Greeks’ commitment to the reforms, but this is so only because Greece has never had a chance to form a domestic consensus around these reforms. Europe is opposed to the very idea of a referendum because it would set a precedent for other countries: Can voters decide which treaties are, and which are no longer acceptable, even if their country has signed up to them in the past? What made the Greek issue so important to the EU is that at heart it is a conflict between the idea of “treaties within the EU are forever” on the one hand and the democratic right of member states to change their relationship with this contractual nexus when it clearly isn’t working. There is no question in my mind (nor in the mind of most voters in the UK) which of the two ‘relationships’ between EU nations is the healthier and more sustainable one. This is the grand debate which will not go away, with or without Greece. The Greek government tried to focus on this rather grand and abstract point while being dependent on the concrete drip-feed of perpetual debt roll-overs and with looming deadlines for a default. Simply wanting to change treaties when they are no longer financially advantageous, and/or using the threat of collateral damage to the Eurozone in case of default is not conducive to finding an amicable solution. It’s everyone’s fault for having left things that late. The simple fact of the matter is that Greece is so far beyond financially redeemable with its current debt burden that it has to first cut the poisonous umbilical cord, default, and then try to re-negotiate relations with the EU. After a No vote we would find out pretty quickly whether there is a way to deal with insolvency within a currency union or not. Put simply, there will have to be a way, even if we left it to five past midnight to start looking for one. Karl, sorry to disagree, but your assumptions leave quite a few holes to fill. Let’s start with your assumptions about Greece. Any view of recent history will tell you Greeks have never owned up to much of anything. I would suggest that with the current cabinet, it’s back to the future with Andreas Papandreao, circa 1983. Many of the same former street chanters carrying signs can now be found in cabinet positions. Former leftists never retire, they just move up the food chain with bigger and better houses. On the Troika side, there are also gaps to fill. I dare say, these institutions–the IMF in particular–are rethinking their global strategies in light of their poor performance in Greece. Behind closed doors, I’m certain the European Union finance ministers, sans-Greece, have muttered how they blew it with the previous government by not extending more of an olive branch–looking for creative solutions rather than codifying debilitating conditions. And so is Europe. Moreover, I don’t sense any smell of retribution by the Troika toward Greece, as much as Tsipras-and-company might want to promote it. Furthermore, you make it sound there’s no chance for solutions, easing of restrictions and conditions, or modifying the existing or impending memorandum. The reality in today’s Greece is there’s no way Greeks own up to anything; they take no responsibility for their futures, or come together to form a common community. If anything, particularly with the current party in office, we’re headed into the arms of fate, and an ugly fate at that, perhaps the political equivalent to what’s happened under Obama with race relations. But anyone listening to Tsipras and his bravado from the pulpit of parliament these days, will recognize a man who’s never had a job outside a political office. These are poor leaders, and poorer technocrats who don’t know how to balance their checkbooks. Let’s keep in mind this is the same government that gave us, early on, the brilliant idea of foreign tourists acting as VAT police officers while on holiday on the islands. A great endorsement for both tourism, and the trust they place in their own citizenry. George Orwell would have a field day with this one. Economics suggest there are at least 10 solutions for re-writing conditions that could revolutionize the current state of the memorandum or, better yet, the next memorandum. But the bottom line for me is Greece remains a financial black hole–tax collections and property / asset disclosures remain hit-and-miss at best. After so many years, there is still a big question mark about property ownership–who owns what, and where? Hard to believe, but in 2015, black holes remain everywhere. The thorny threat of raising taxes on the islands to 23% for hotels and bars is a red herring when you consider that with today’s much lower rate in these locations, businesses continue to evade and under report VAT, almost as sure as the sun rises each day. After years in the Euro, the BASICS of a functioning society are not yet covered. Service providers alone paying their taxes honestly, could write down a good chunk of the debt over a 5-10 year window. Small independent service providers! Finally, you suggest that the Drachma will give Greeks a measure of independence….my take is the drachma will encourage the same tendencies to bury the reality from the light of day; Greeks will continue on much the same road as they have since the 1980s. Inflation and a weakening currency can’t solve the problems forever. We’re importing much more than we export….even Israelis export more agriculture from their desert fields than Greeks. 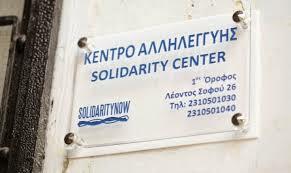 Ideas such as community are non-existent, even within Greece. Imagine, then, why it’s difficult for Mr. Tsipras and Greece to cope with the other member states? No, Karl, there is much more at stake here–it’s a way of thinking, way of being, way of seeing. Tsipras and his jolly gang are taking us back to an era we don’t need to revisit. I see no good result from a NO vote. In fact, the Euro helps shape our own responsibilities to member states. How is it possible that Tsipras can both sign off on a memorandum AND then trash it as threatening Greek dignity? Agreements are rather important to any functioning society these days. We need fresh leadership that isn’t buried in the past, and isn’t flailing its arms from verandas, wailing through bullhorns, playing on our worst tendencies, blocking streets and purveying false hopes. There is a new generation of Greeks, smart, keen on change, and able to balance its books. I’d rather trust in these new Europeans with Euros in their wallets, to lead the way backward to a drachma economy and all it represents. William, I really appreciate you taking the time to spell all this out. You are right in saying the road ahead to tax collection rates which are commensurate with actual tax rates is very unclear in Greece. A key component of making people pay taxes is the perception of (a) the fairness of the tax rates and (b) a public which sees tax evasion as deeply unethical. I don’t think that we can ever achieve point (a) with measures dictated from outside, nor reach point (b) without the Greek public making a statement that they are willing to take pain to sort things out. So extending the bail-out will achieve nothing of sustainable value. Your assessment means that Greeks are unlikely to get to point (b). Sadly, and in spite of my idealistic hopes expressed in my article, I agree. Your point is that you doubt Greeks are able to take care of themselves as a polity. Speaking to Greeks over the years on this very topic, I know that your pessimism is deeply ingrained in Greeks’ view of themselves. Your sentiment that, on balance, Greece should prefer to be governed by European bodies rather than Greek politicians, even if expressed reluctantly, is widely shared. The consequences of a Yes vote won’t be terminal or disastrous. As I have said in an earlier post, Greece is the symptom, not the disease. The disease is there irrespective of the Greek referendum: Many things you describe go on all over Europe, in Spain, Italy, and France; And Europe has no democratic tools of addressing these problems within member countries. The electorate everywhere has become accustomed to live well beyond its means, to cheat on benefits, and to depend on hand-outs, financed by loans from future generations, borrowed at a pace which had been unprecedented until even 50 years ago. except during major wars. Just as Greece was the forerunner in exposing these public finance problems, the blog post expresses an idealistic hope that it may be the forerunner of a new social contract which is sustainable in the age of demographic inversion. Do I think it will happen? Alas, no. Not this time. Changes like this don’t happen without much more serious social disruption than Greece has witnessed this far. But the day of reckoning will come, not just for Greece, but also for these much larger member states. It’s not a question of if, but a question of when the markets will refuse to finance their unsustainable budgets. Central bank action and deliberate biases in insurance and banking regulations are hiding the problem and delaying the much bigger crisis that’s in the making, but when it does come, it will be much more ugly for having been hidden and delayed. In my view Greece should take the radical step of defaulting and writing into its constitution never to borrow again. It would propel itself from a pariah to a model of sustainability of public finances. But don’t get me wrong: That too has no chance of happening. But a default (whether followed by Grexit or not), followed by the recognition that Greece won’t be borrowing from the markets for a very long time will have the same effect: It will mobilize political forces that can shift the attitudes towards tax compliance more in the direction of it being seen and enforceable as a civic duty. It’s no good hoping that European politicians will somehow ‘govern’ and sort out Greece’s problems. They no longer have the backing of their own electorate for doing so, and they would always be branded as unwelcome outsiders as soon as there are hard choices to be made. Karl – in my humble opinion you have it exactly right! The biggest tragedy is that they didn’t take this step instead of the last deal a couple of years ago. It was always clear that the game was unsustainable … kicking the can just made the unwind so much more painful for all parties.